Bhubaneswar: Odisha Govt to establish 50 courts this year. 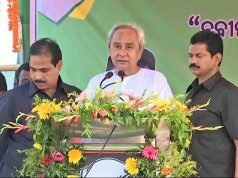 This was informed by the Chief Minister Naveen Patnaik while addressing at the Bhoomi Pujan of Bhubaneswar Judicial Court Complex. 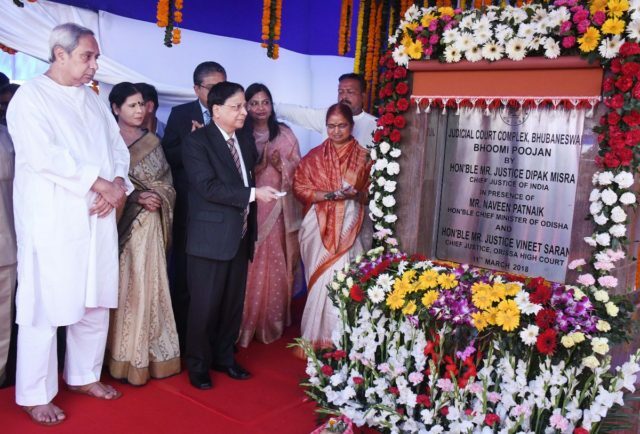 Chief Justice of India Justice Dipak Mishra and Odisha Chief Minister Naveen Patnaik graced the Bhoomi Poojan Ceremony of the Judicial Complex here on Sunday. 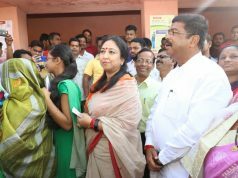 At Bhoomi Pujan of Bhubaneswar Judicial Court Complex, Chief Minister reiterated State Government commitment to strengthening judicial infrastructure. 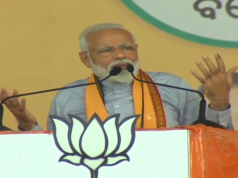 170 courts established in last 4 years, 50 more this year.